Gone are the days when the only option for your hearing aids is to replace cumbersome batteries when they wear out with time. Several options for rechargeable hearing aids are now available, and they come in two basic types. Lithium Ion batteries were introduced by Phonak and Signia as the earliest form of rechargeable hearing aid. Following these innovations, Silver-Zinc batteries were developed with the ZPower system to make hearing aids rechargeable. Though each option may be preferable to traditional battery powered hearing aids, each type comes with pros and cons. The same type of battery used in your mobile phone, Lithium Ion, makes it possible to recharge every night with minimal wear and tear to the battery over time. 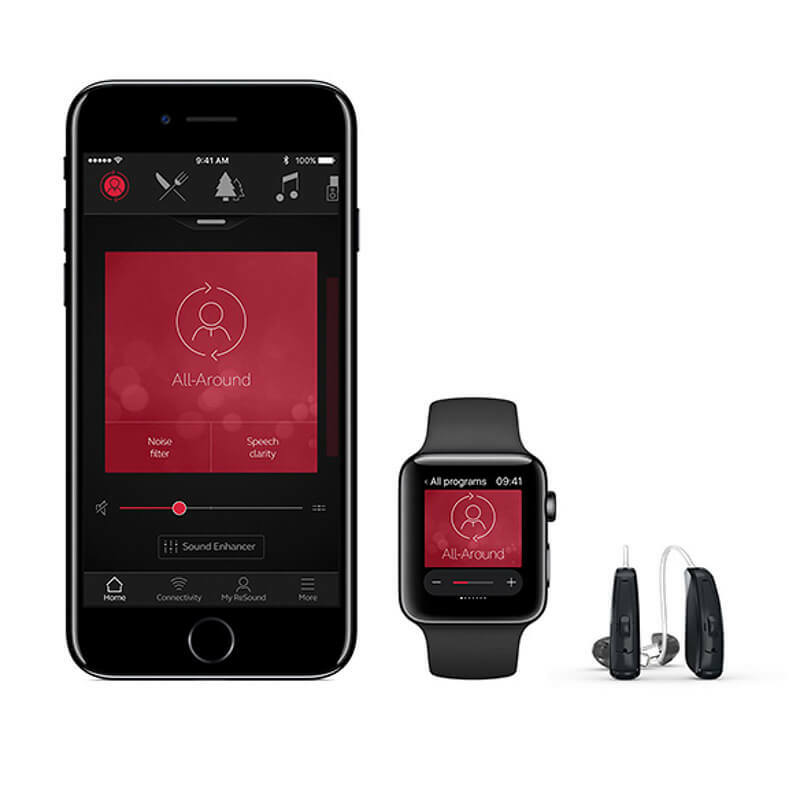 Phonak was the first to develop the Audéo B-R hearing aid with a rechargeable battery said to last up to 24 hours, including 80 minutes of wireless streaming. Hot on the heels of Phonak, the Signia Cellion Primax also offers a Lithium Ion battery that is said to last in excess of 24 hours with unlimited wireless streaming minutes. Both come with permanently sealed battery doors. Those who stream audio to their hearing aids may test the limit of the battery capability, though these batteries should provide a full day of use. Each of these hearing aids has a permanently closed battery chamber, so it is not possible to take out the Lithium Ion batter and replace it with a traditional hearing aid battery. A new alternative to the Lithium Ion rechargeable battery has been adopted by ZPower, based on the same technology that NASA used to power its Apollo moon missions. These batteries are now available separately from hearing aid manufacturing, possible to place in many existing hearing aid models. Just like Lithium Ion batteries, then tend to offer about a day of use before they need to be recharged. 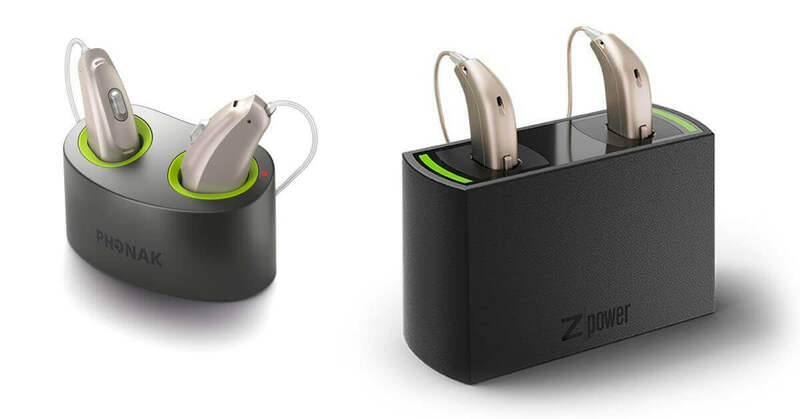 The only drawback to the ZPower Silver-Zinc batteries is that they need to be purchased separately from hearing aids. However, some people experience this detriment as a benefit. 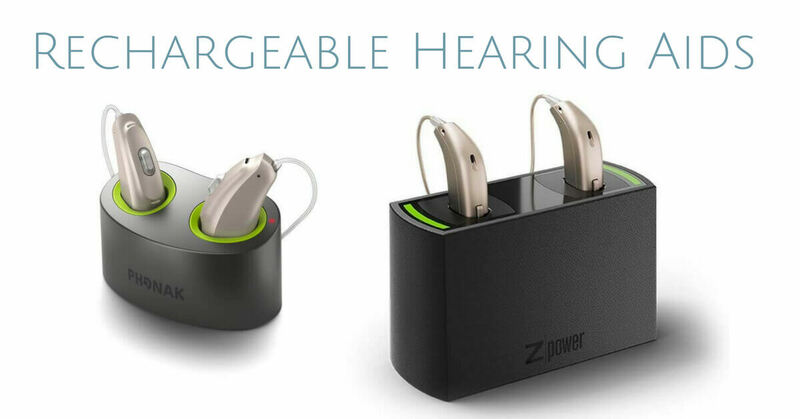 If you have already purchased a set of hearing aids and would like to upgrade to rechargeable technology, the ZPower system may be right for you. One of the major benefits of this type of battery is their safety for people, animals, and the environment. Silver-Zinc batteries are non-flammable, non-toxic, and are even recyclable. New hearing aids that can use the Silver-Zinc rechargeable batter are being developed and introduced every day. As of January 2018, some of the new models that use the ZPower system include the Widex Beyond Z, the Opn miniRITE Rechargeable, the ReSound LiNX 3D, the Starkey Muse, and the Unitron Moxi. Deciding which type of rechargeable battery is right for you depends on the type of technology you are already using. If you do not currently have hearing aids, one of the Lithium Ion battery models with a permanently closed battery case may be appropriate. However, if you already have hearing aids and are looking for a rechargeable solution to your power needs, the ZPower system may be able to help. These Silver-Zinc batteries are also useful for those who would like to use a rechargeable set of hearing aids but would also like to have a backup plan with a traditional battery. You can imagine settings in which you might be unable to recharge your hearing aids each night, such as traveling or camping. In these instances, it may come in handy to have a traditional battery option to keep your hearing aids fully operational. Only the Silver-Zinc ZPower system makes a traditional battery back-up plan possible. Whichever rechargeable battery is right for you, it is good to know that the technology is out there to make your life simpler and to avoid the waste of replacing batteries again and again. As new rechargeable options are developed in the future, we expect to find batteries that last even in excess of a full day, making the rechargeable options even more appealing to users of hearing aids. To learn more, contact us at Elite Hearing Center.